Funeral services for George F. Feuerhelm will be held at 10:00 AM on Friday, February 8, 2019 at First Lutheran Church, Albert Lea. The Rev. John Holt will officiate. Burial will take place in Graceland Cemetery following the service. Visitation will be from 5 – 7 PM on Thursday February 7th at Bonnerup Funeral Service, Albert Lea, and will continue one hour prior to the service at the church. 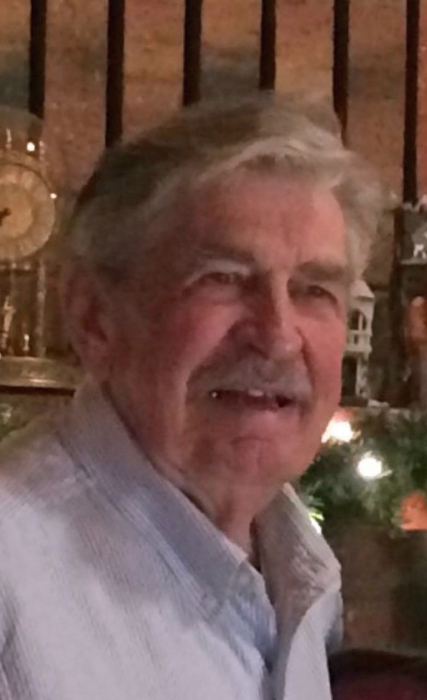 George passed away on Monday, February 4, 2019 at his home near Albert Lea. He was 86 years old. George Frederick Feuerhelm was born on July 16, 1932 in Lansing, IA to Clarence and H. Agnes (Pease) Feuerhelm. He graduated from Lansing High School in 1950. George attended Luther College, where he obtained his Bachelor’s degree in Music. He played trombone all four years in Concert Band and served as the Band and Music Association President. He later obtained his Master’s degree in Music Theory from the University of Northern Colorado. George served his country honorably in the United States Army from 1954 – 1956. Most of his time was spent stationed in Okinawa, Japan, where he taught a Music Appreciation Class and enjoyed playing on the baseball team. On August 4, 1956, George was united in marriage to Donnabelle “Donn” (Olson) in Rake, IA. To this union, the couple was blessed with three children: Scott, Stacey, and Nathan. George and Donn spent 62 wonderful years together. George was a very accomplished musician and shared his love of music with many people. He spent 39 years teaching band and orchestra in Iowa and Minnesota with the last 19 years in Albert Lea. George was also involved in theater, having played the lead role in several ACT musicals. He was a Solo and Ensemble Contest judge for many years and was Grand Marshall of the Festival of Bands in Albert Lea in 2003. George enjoyed playing in both the Albert Lea Community Band and Austin Symphony Orchestra. After retiring from teaching in 1994, he composed and published several vocal compositions. When George wasn’t teaching or playing music, he was very involved in his children and grandchildren’s lives, to whom he showed unconditional love and support. According to his wife, each time George met a previous student, although he may not remember their name he could always recall what instrument they played! His wife, Donn, will remember him as being the most kind and gentle man that she has ever met. He is survived by his wife of 62 years, Donn; children, Stacey (Scott) Hanna and Nathan Feuerhelm; granddaughter, Brieana (fiancé Bruce Thimmesch) Groff and her daughter, Kaitlyn Hanna; granddaughter Paige Hanna; grandson, Parker Hanna; brother, Duane (Jackie) Feuerhelm; and niece, Heidi (Randy) Hammerschmidt; as well as many other loving relatives and friends. George was preceded in death by his son, Scott Feuerhelm; both parents, Clarence and H. Agnes Feuerhelm; mother and father in-law, Henry (Minnie) Olson; siblings, Marjorie Gelo, Charlotte Feuerhelm, and Glenn Feuerhelm; and sister and brother in-law, LaVonne (Charles) Lowery.